The GDPR strengthens data protection regulations for all individuals within the EU and aims to give control of personal data back to consumers. While there are currently data protection laws in place, the new legislation increases the level of compliance needed by companies and also introduces tougher penalties for data breaches and service failures. Ashley Winton, partner at McDermott, Will & Emery, guided delegates at the International Auto Finance Network conference through the four main areas of change. A condensed version of his presentation is available in this video, courtesy of automotive, consumer and equipment finance software business White Clarke Group. Winton said the new rules identify personal data as “any information relating to an individual, whether it relates to private, professional or public life”. It can be anything from a name, a home address, a photo, an email address, bank details, posts on social networking websites, medical information, or a computer’s IP address. Furthermore, when engaging with consumers, companies will have to provide much more detail about how data will be used in any opt-in forms, which will have to be in the language of the user. Winton advised that companies should have a detailed audit trail to prove which consents were shown to consumers and when. This audit trail could be essential, along with water-tight agreements with suppliers, in protecting a company in the event of any legal claims. These claims are much more likely to come from private lawsuits than EU authorities, Winton warned. 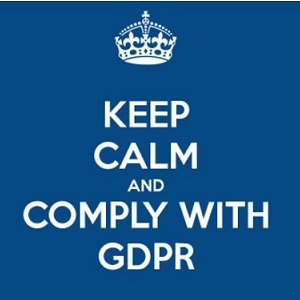 He said: “In the small print of the GDPR it’s now possible for not-for-profits to be set up to represent that customer and all the other customers that were affected [by a breach].